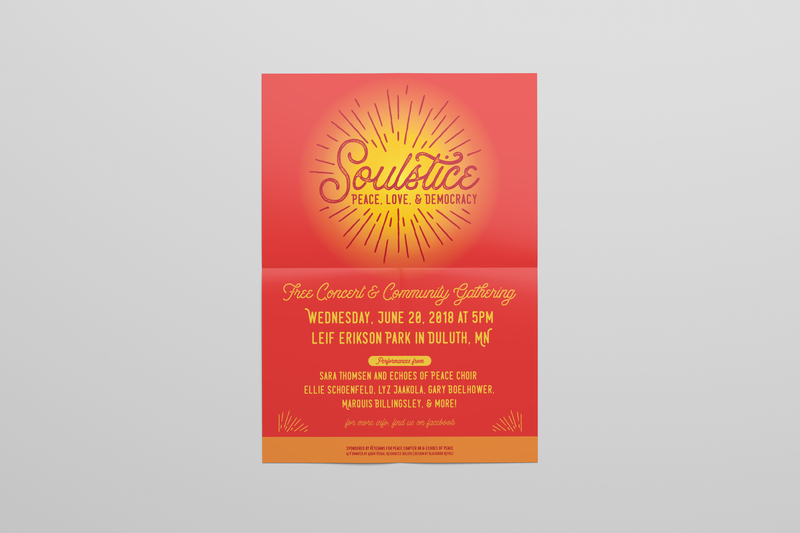 This summer, we worked with a group of community members to brand the Soulstice event held in a local park. 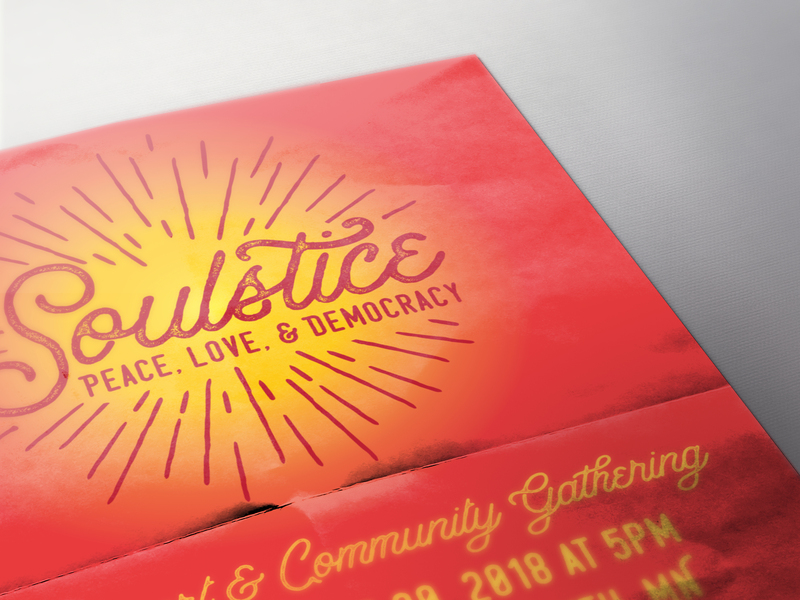 The event was a celebration of peace, love, and democracy. 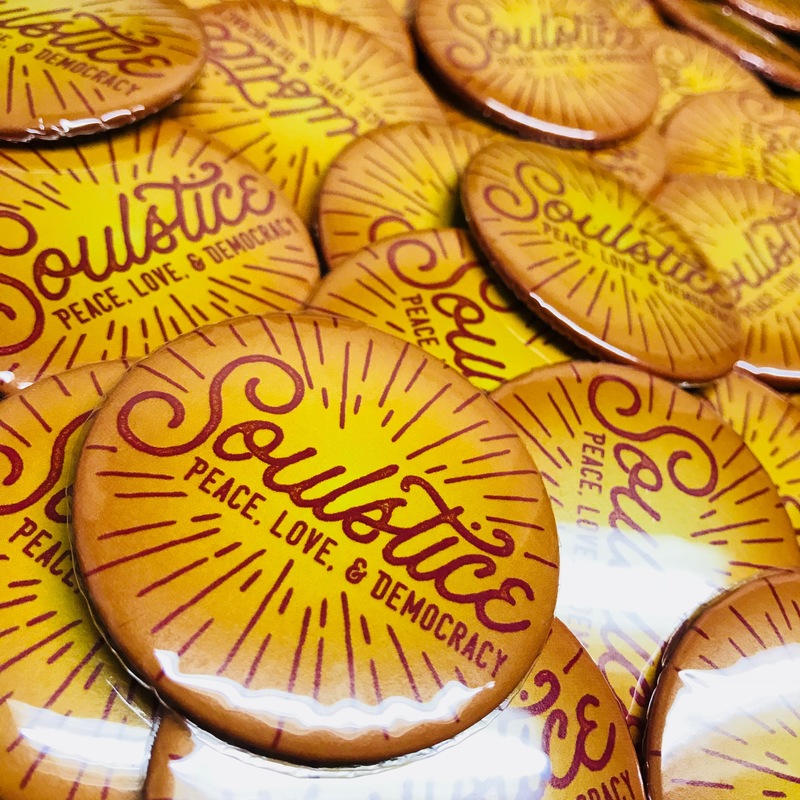 Soulstice was meant bring community members together and honor each other and the earth. Because we value the work and efforts of so many members of our community, we were more than happy to help out. Blackbird Revolt crafted the logo, posters, digital media, and we even punched the buttons. We wanted to support an event the highlighted and showcased what community can look like in the face of bigotry, xenophobia, sexism, and other problems deeply rooted in our society. Let’s continue to hold more events and initiatives that challenge norms, systems, and negative power.